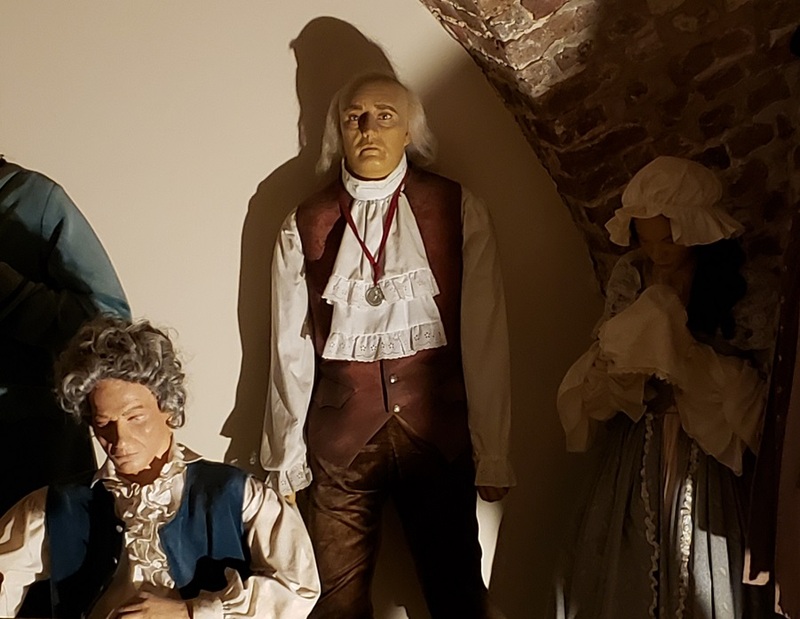 The circa 1771 Old Exchange and Provost Dungeon is known for being haunted, but it’s not the dead who are the scariest inhabitants of the building. The Provost Dungeon part of the museum is peopled with the creepiest mannequins around. And the creepiest of the creepy is dead-eyed Zombie Ben Franklin. He’s actually not Ben Franklin, but I can’t remember who the guide said he was supposed to represent. Looks like Ben, though, doesn’t he. We were up and out early on our first full day in Charleston. There are only a few museums open earlier than 10 am, and we chose to start at one of them: the Old Exchange and Provost Dungeon (they open at 9). The Exchange building has been a commercial exchange, a custom house, a post office, and a military post. It’s now a museum, owned by the Daughters of the American Revolution and run by the city. 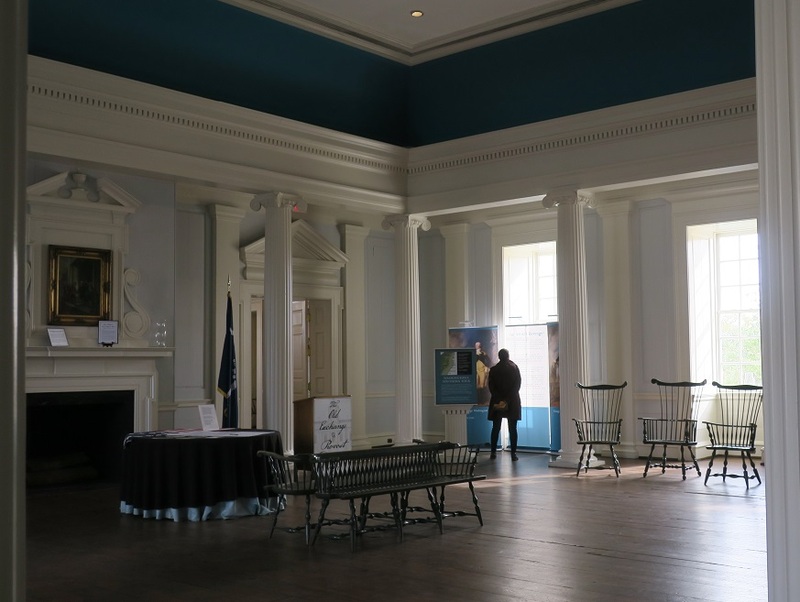 Exhibits include the prison that existed in the basement during the colonial era, when the British owned the town and the building, and elegant rooms on the upper floors, featuring exhibits on antibellum Charleston history. It’s where George Washington danced, dined or attended a concert almost every day of his Charleston stay. “[I]n the evening went to a very elegant dancing Assembly at the Exchange,” he wrote in his diary, “at which were 256 elegantly dressed & handsome ladies.” Yes, GW had an eye. We went from the dungeon to the top floor, where the South Carolina delegation had signed the Constitution. What I thought was another creepy mannequin sat at a desk in the corner. Then he moved. I screamed. Then laughed, embarrassed. “Sorry,” I said to him. “I thought you were a mannequin.” He wasn’t amused. He just stared at me with zombie eyes for a few seconds before saying, “We have a copy of the Constitution you can sign if you want.” Then he looked down at his desk and resumed his mannequin pose. So maybe …. I won’t go into detail about the Exchange, because I’ve written about it before. 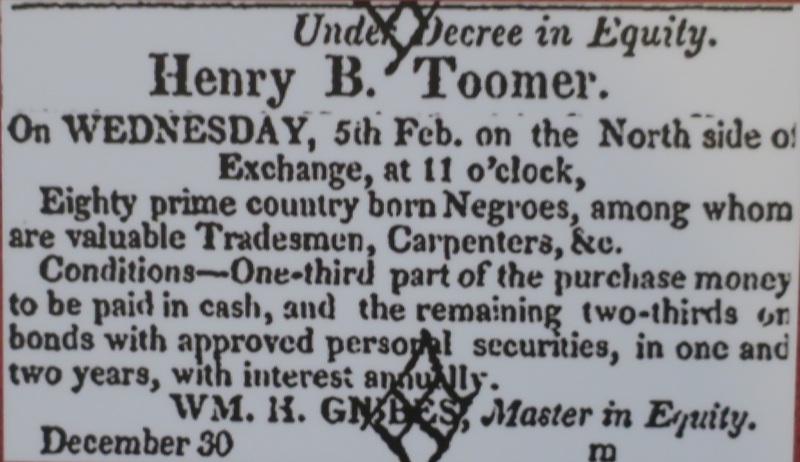 But I do want to mention that they’ve expanded their exhibits about enslaved Africans, focusing on the slave markets that surrounded the Exchange. 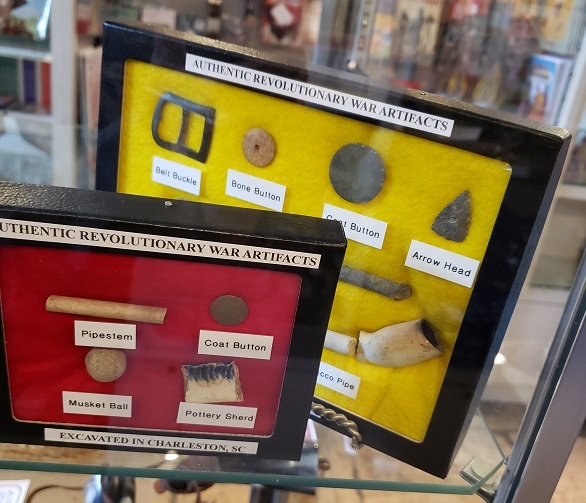 They also had some very cool items in their gift shop, specifically, Revolutionary and Civil War artifacts that they’ve dug up around town. I think the smaller of these sold for about $120. 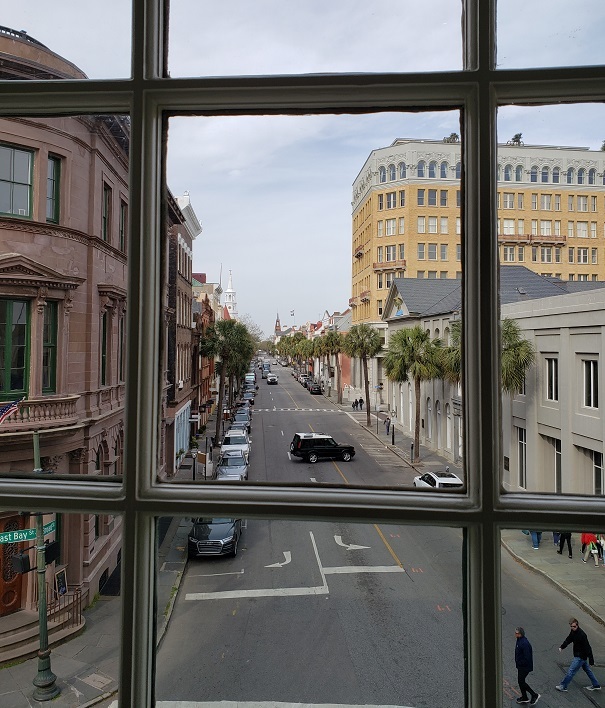 George watched a parade from the steps of the Exchange, then walked down Broad Street to the town house of Thomas Heyward Jr., where he would stay for his week in Charleston. 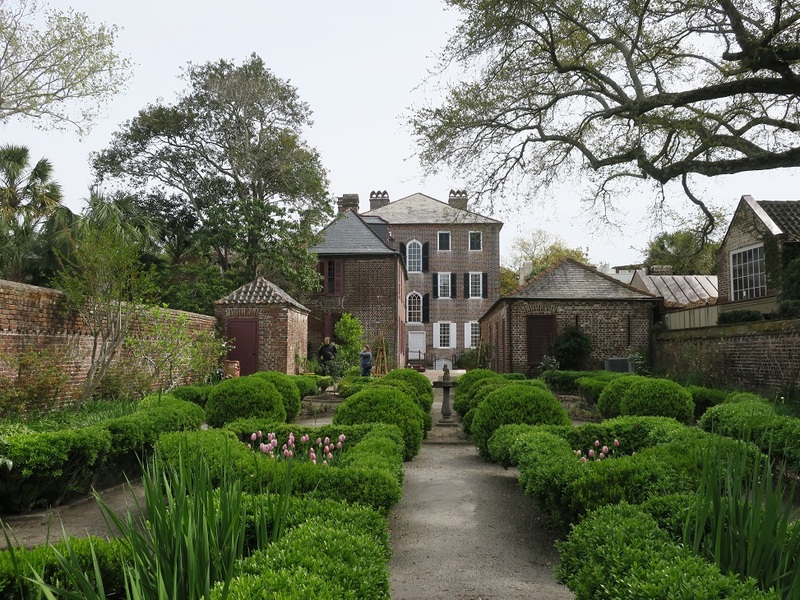 Heyward, a wealthy planter, was at one of his country plantations at the time and the city fathers had rented his town house for Washington. Kathie and I followed GW’s path down Broad Street to the Heyward House, now the Heyward Washington House museum. I’ve written about it, too. But what’s new at Heyward Washington since my last visit: information about Sarah and Angelina Grimke during the tour. Sarah and Angelina were sisters from a wealthy, slave-owning Charleston family who became active abolitionists. They were raised in the Heyward house after their father brought it from Thomas Heyward in 1794. Their story was popularized in a 2014 book, The Invention of Wings by Sue Monk Kidd., which tells of Sarah and of Hannah, a Grimke slave. I recommend the book highly though *warning* its depiction of the brutality of slavery is a difficult read. It’s a good reminder, though, in the clear light of a 21st century spring day, in a beautiful garden behind a beautiful house, of the human cost for that all that beauty. 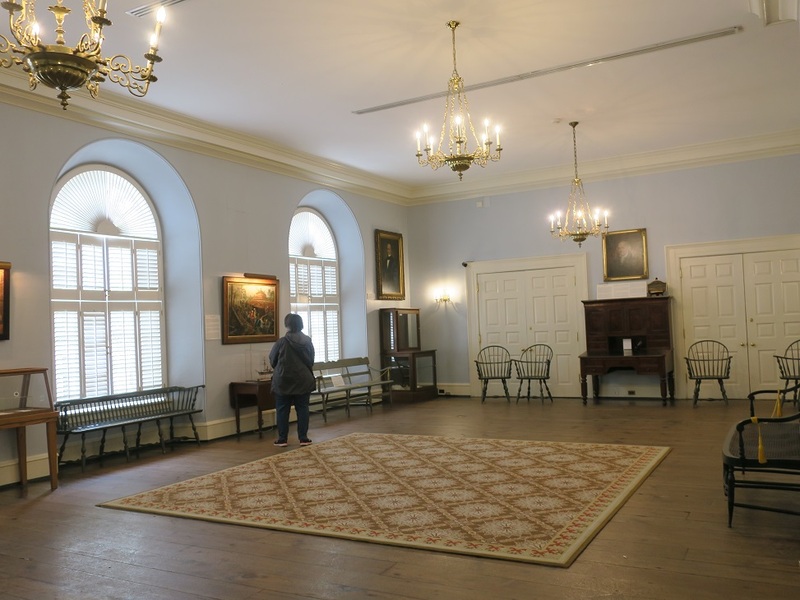 Gallery | This entry was posted in South Carolina and tagged George Washington, Grimke, Heyward-Washington House, Old Exchange, Provost Dungeon, Southern Tour 1791. Bookmark the permalink.